Home » Resources » Keto Vs Atkins Diet: What Is the Difference? Keto Vs Atkins Diet: What Is the Difference? What’s the difference between the Ketogenic diet and theAtkins diet. Very similar ways in eating but very different effects on the body. These days, we are all more conscious about the importance of maintaining a healthy lifestyle. This is why we have become more focused on lifestyle changes such as regular exercise and a healthier diet. When it comes to the latter, there are various diet plans you can choose from based on your tastes, dietary needs, and preferences. This includes the Keto Diet and the Atkins Diet, both of which have gained huge popularity over the years. So, what is the difference between Keto and Atkins? Well, some people become a little confused because both of these are diets that focus on low carbohydrate and high-fat consumption. In addition, both diets are aimed at aiding weight loss. However, it is important to remember that when it comes to Atkins VS Keto, there are some key differences between the two diets. We will look at each of these two diets more in-depth a little later in this article. However, it is first useful to be aware of some of the key differences between the two diets. There are several key differences that will make it much easier for you to make an informed decision with regards to which of the two diets is right for you. So, let’s take a look at some of the main differences when it comes to Keto VS Atkins Diet. One key difference between Atkins and Keto is the actual aim of the diet. With the Atkins Diet, the key goal is to lose weight and people often go on this diet in order to promote rapid weight loss. On the other hand, with the Keto diet, the aim of the game is to promote good health rather than the focus being on rapid weight loss. 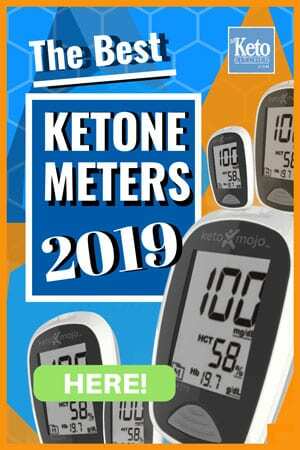 Another main difference between Atkins and Keto to be aware of is the amount of time your body needs to be in ketosis with each of the two diets. With the Keto Diet, your body must be in ketosis through the diet. On the other hand, with the Atkins Diet, the body only has to be in ketosis for a short period, which is generally during the first and maybe the second phase of the diet. The limitations on protein intake also vary between the two diets. So, how is Keto different to Atkins when it comes to protein allowances? Well, with Keto, your protein intake can only make up around 20-25 percent of your daily calorie consumption. On the other hand, with the Atkins Diet, there are no limitations on the amount of protein you can consume. These are the main differences you need to remember when it comes to the Keto VS Atkins Diet. So, first off let’s take a more in-depth look at the Keto Diet. Unlike the Atkins Diet, the Keto Diet focuses on promoting a particular way of eating throughout the diet rather than having various different phases. With this diet, your daily intake of carbs is limited to 5-10 percent of your calorie intake throughout the diet. In addition, 20-25 percent of your daily calorie intake comes from protein and the remainder comes from the consumption of fat. Interestingly, this diet was first developed to aid the treatment of children that suffered from epilepsy. It dates back to the 1920s, so although you may not have heard of the Keto Diet until recently it has actually been around for decades. It became popular as a weight loss and health-boosting diet more recently after research showed that it could help people to achieve both of these goals. Fatty cuts of meat: As part of the Keto Diet plan, you need to aim for fatty cuts of meat as part of your diet. This includes options such as beef ribs, steak, and ground beef, all of which have higher fat levels. Fish rich in Omega-3: A great way of boosting your brain functioning and protecting your heart is by adding fish that is rich in omega-3 into your diet. This includes options such as salmon, herring, and sardines. Dairy products (full fat): Another food group you need to add to your Keto Diet plan is full-fat dairy including butter, yogurt, cheese, and cream. These will not only provide you with essential fat but will also ensure you get adequate calcium as part of your diet. Veggies (low carb variations): We all know that vegetables are great for boosting health and adding low-carb options to your Keto Diet is a great way to boost your fiber intake. You can add veggies such as spinach, asparagus, cabbage, and broccoli to your meals when you are on the Keto Diet. Berries with high antioxidant levels: Although there are limitations with regards to the number of berries you can consume on this diet, it is still important to include some. This is because they provide vital antioxidants to help aid good health. Some of the berries you can enjoy when you are following this diet include raspberries and blueberries. Healthy fats: You should also try to include a variety of healthy fats in your Keto Diet while avoiding refined fats. Some of the fats that you can add to your diet plan come in the form of butter, olive oil, and avocado oil. Triggers greater flexibility with metabolism: You will benefit from greater metabolic flexibility on this diet. This is because you can switch between different fuel types, fats and carbs, as and when needed to supply you with fuel. Increased stability of blood sugar: When you embark upon the Keto Diet, you can benefit from increased blood sugar stability. The diet helps to lower levels of glucose as well as reduce or prevent resistance to insulin. It can also help to boost insulin sensitivity to aid your health. Improved fat burning capabilities: This diet is great for loss of fat because it triggers the burning of fat within the body rather than relying on glycogen for energy. Because your body will be using fat stores for fuel, you can lose weight with greater speed and ease. A boost in weight loss: Following on from the comment above, this diet can make a huge difference to those that want to lose weight. You should notice considerable weight loss during the initial couple of months. Better still, there is a better chance of keeping the weight off on this diet rather than losing it and then piling it all back on again. Improvements in brain functioning: The blood/brain barrier can be crossed with greater ease by ketone bodies, and this means that they can be used by your brain for energy. This can help to boost your brain functioning and cognitive performance as well as protecting against conditions such as dementia. Boosting heart efficiency: We all know how important it is to look after the heart, and the Keto Diet will help you to achieve this goal. The antioxidant benefits of this diet will help to improve circulation, which in turn helps to improve cardiac efficiency. Disease prevention: One other key benefit of the Keto Diet is that is can help to reduce the risk or various health conditions. This includes promising research into conditions ranging from Alzheimer’s and Parkinson’s through to Type II diabetes, heart disease, and certain forms of cancer. In summary, the Keto Diet is a great choice for those that want to lose weight but also want to benefit from optimal health. While it is more stringent than the Atkins Diet in terms of carbohydrate and protein intake, you can still incorporate plenty of delicious foods (see our keto recipes page) into your meal plans. Keto vs Atkins Diet Infographic. Developed by Dr. Robert Coleman Atkins in the 1960s and early 1970s, this diet became a huge hit amongst the general public and celebrities. Like the Keto Diet, this is also a low carbohydrate and high-fat diet. However, the focus of the Atkins Diet is more on rapid weight loss than on boosting health. It is also a diet that encourages the consumption of protein, which is far more restricted on the Keto Diet. There are a number of variations of the Atkins Diet, although they all work on the same principle. Induction phase (phase 1): This phase lasts for one to two weeks when you first embark on the diet. You can only consume around 20 grams of carbohydrate per day during this period. You should also aim to consume protein from healthy sources at every meal during the induction phase. While there is no restriction when it comes to fats, you do need to steer clear of alcohol during this phase. Balancing phase (phase 2): This phase runs until you are around ten pounds off your target weight. During this phase, you can start to consume food with moderate carbohydrate levels such as nuts and berries. However, you still need to avoid food that is high in carbohydrates. Once you are ten pounds from your target weight, you can move on to the third phase. Pre-maintenance phase (phase 3): The third phase lasts until you actually reach your target weight. During this phase, you can start eating some higher carbohydrate foods such as grains and fruit. However, you need to keep an eye on your carb intake and if your weight loss hits a plateau, you may need to reduce your carb intake again. Lifetime phase (phase 4): As the name suggests, this phase is meant to be a new dietary way of life for you once you have reached your target weight. You can work out for yourself how many carbs you can consume while still maintaining your weight once you move into this final phase. Meat and fish: You should eat plenty of meat while on this diet but aim for meat that is not processed if possible. You should also aim to eat seafood and fish that has plenty of Omega-3 and protein. Low carb veggies: You can also add low carb veggies to your meals when you are on the Atkins Diet. These are very important during the earlier phases of the diet. You can also start to consume higher carb vegetables in the later stages of the Atkins Diet. Dairy products: Another important addition to the Atkins Diet plan is full-fat dairy products. This includes cream, butter, cheese, and yogurt, all of which should be full fat. In addition, you should make sure you regularly eat eggs on this diet because of the protein, fat, and Omega 3 they offer. Seeds and nuts: If you like to snack on seeds and nuts, you will be glad to know that you can consume a wide range of them on this diet. This includes sunflower seeds, almonds, and walnuts among others. Oils and fats: There are various healthy fats and oils that you can add to your diet when you are following the Atkins Diet plan. This includes butter and olive oil. You should avoid oils and spreads that contain trans fats when on this diet as well as steering clear of refined oils. Speedy weight loss: One of the key benefits of this diet is that it can promote speedy weight loss. This is why it is often favored by those that need to lose weight quickly and even those that need to lose weight rapidly in order to have surgery. Fewer cravings and hunger pangs: When you get into the Atkins Diet, you should experience fewer cravings and hunger pangs. Being able to consume both proteins and fats makes it easier to fill yourself up, so you do not feel tempted to reach for snacks that need to be avoided. Unlimited consumption of proteins and fatty foods: Many people like the fact that you can have unlimited protein and fatty foods on this diet whereas protein is far more restricted on the Keto Diet. Relatively easy to stick to: Once they get into the swing of things, many people find this diet is pretty easy to stick to. Because of the unlimited protein allowance, even vegetarians can stick to the diet with a huge range of tofu and meat-free products that are high in protein. The Atkins Diet is definitely less restrictive than the Keto Diet. However, you do have to be pretty organized to ensure you follow the phases of this diet properly. In addition, you have to remember that it is more about weight loss and less about aiding health. 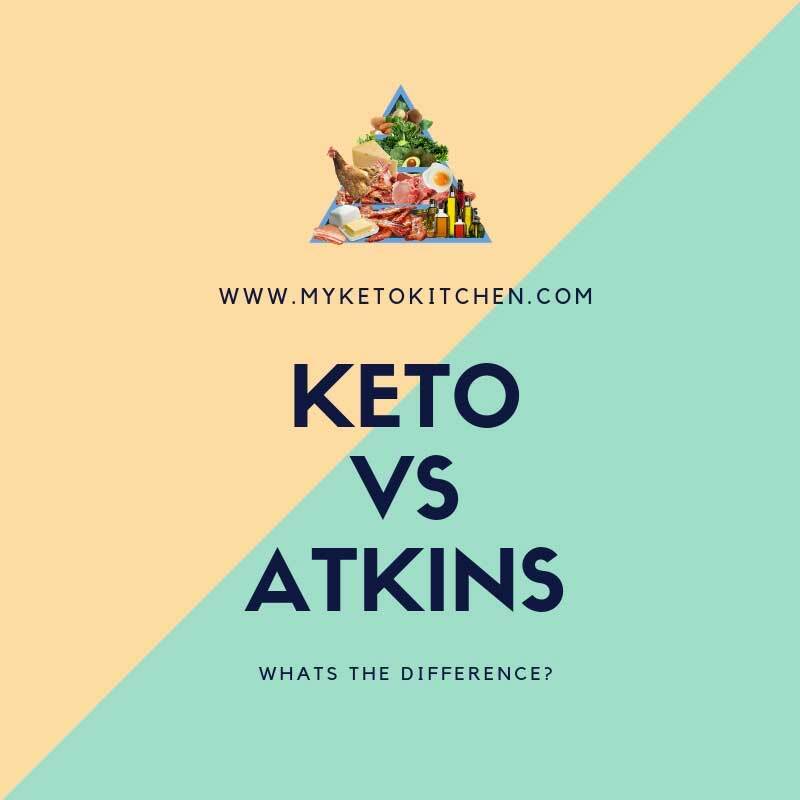 So, there we have it – you can now see what the key differences are when it comes to the Ketogenic VS Atkins Diet. While both diets focus on a reduction of carbohydrates, the Atkins does offer a little more leeway than the Keto. However, if your aim is to improve your overall health in addition to losing weight, the Keto Diet is definitely the ones to focus on. Keto Key Lime Pie Recipe – “Creamy & Tangy” – Simply Delicious! The major difference in the diets are the aims of using them. You are absolutely right.